We’re on the verge of a health care revolution. Every few decades it happens. Innovative thinkers create disruptive changes that advance public health beyond anything we could have dreamed possible. From the discovery of the x-ray in 1895 and penicillin in 1928 to breakthrough advances such as IVF in the 1970’s, their findings ultimately change our world. Now, health care has entered the digital era, and it’s no doubt exciting. In particular, electronic health records (EHRs) have become one of our first glimpses into health care’s data-driven future. Gone are the days of doctors jotting down notes during physical exams. Now, everything is entered into patients’ medical records on a computer. Prescriptions are even sent to pharmacies with the click of a button. According to the Office of the National Coordinator for Health Information Technology (ONC), there are many benefits of using EHRs. They include “better health care by improving all aspects of patient care, including safety, effectiveness, patient-centeredness, communication, education, timeliness, efficiency, and equity.” This sounds amazing, but the truth is that we’re not there yet. Not even close. Our latest health care revolution is going to take some serious work, and it must include human centered design if it’s going to succeed. EHRs continue to have usability issues that can lead to patient harm. Recently, researchers from the American Medical Association (AMA) and MedStar’s National Center For Human Factors took a close look at how emergency doctors are using electronic health records. The results were quite shocking. In one hospital, it took doctors only 8 mouse clicks to complete an EHR task. But at another hospital, the same task took doctors 31 mouse clicks! And when it came to ordering medication in the EHRs, one hospital had no errors while another had an error rate of 30 percent. This is frightening and demonstrates that user experience is not being put first across the board. It’s not just about mouse clicks though. Health care systems and hospitals are facing a huge variety of challenges when it comes to EHRs. These include implementing them, maintaining them, and even upgrading them. Human interaction is at the heart of many of these challenges. Security is an EHR issue, and protecting it starts with people. Imagine your confidential health record ended up in the hands of someone who was not privy to your information. This would be distressing for both you and your health care provider that was breached. Due to the situation, you could experience identity theft, which in turn could send your finances and credit into ruin. And your health care provider could face years of litigation, especially if the breach affected more than just one patient. As EHRs continue to collect large amounts of patient information, the need to protect them from cybersecurity threats will grow and grow. User experience and human centered design are key to protecting personal information. It’s important to realize that cybersecurity threats can come from computer-savvy cyber criminals just as much as they can come from the nurse working down the hall who doesn’t know how to create a strong password. By analyzing the situation from a user’s perspective and empathizing with what drives their experiences, we can create better cybersecurity practices for EHRs. Cybersecurity, after all, isn’t just about machines. If a system is really going to keep EHR data secure, it needs to safeguard against human error too. To truly help patients, EHR systems need to communicate with other systems. To help a patient is to understand a patient. And to understand a patient is to have as much information about them as possible. Therefore, it’s so important that data always be available and easily transferred from other information systems to EHR systems. For example, data from nursing homes and daily living settings can help paint a full picture of a patient’s health (which can aid in diagnosing and treating them). But oftentimes, this data never gets shared with EHR systems due to incompatibility. 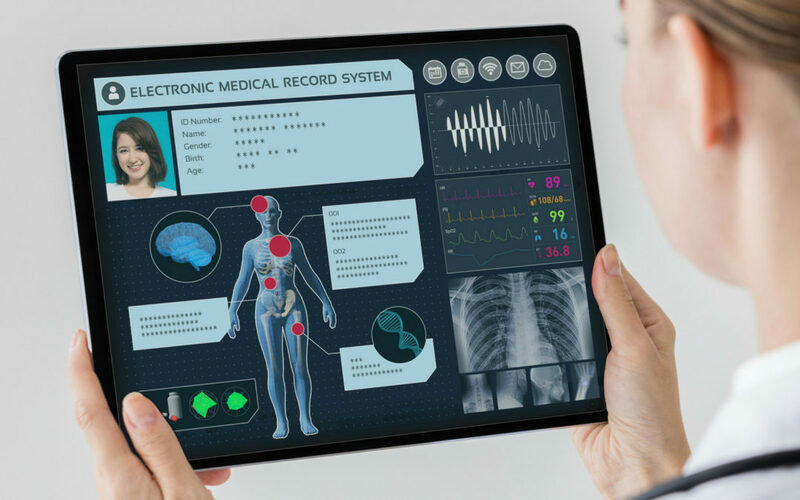 EHR systems must be designed from the start to be compatible and fully integrated with other systems so that patients’ needs are put first by having access to the complete patient picture impacting their health. Clinician burnout is all too real. Perhaps one of the largest issues with EHRs, though, is the fact that clinicians find themselves too burned out and too pressed for time to properly maintain them in the first place. This can have devastating effects when it comes to both patient safety and the well-being of physicians. According to the New England Journal of Medicine (NEJM) Catalyst spring 2018 report, “eighty-three percent of clinicians, clinical leaders, and healthcare executives view physician burnout as a problem at their organizations.” This is an incredibly large percentage, and a true public health crisis. Using human centered design methodologies, it’s possible for physicians and EHR technology to thrive side-by-side. For example, medical scribes can be hired to record notes during patient visits. Not only will this help to improve physician-patient relationships (as the physician will no longer spend most of the visit looking at a computer instead of the patient), but medical scribes can provide more accurate details in the EHR because their sole focus is taking notes. Technology can also play a role, as EHR voice recognition software can automatically input data into health records. However, recent research shows that there’s a 7.4 percent error rate when using this type software. Clinicians or medical transcriptionists are often needed to review the notes to ensure that they are correct. If EHR voice recognition technology was developed with user experience in mind, these error rates have the potential to be significantly reduced. Another cause of clinician burnout is that physicians often find EHR interfaces burdensome or difficult to use due to constantly changing IT modules and workflows. This issue goes beyond user training. 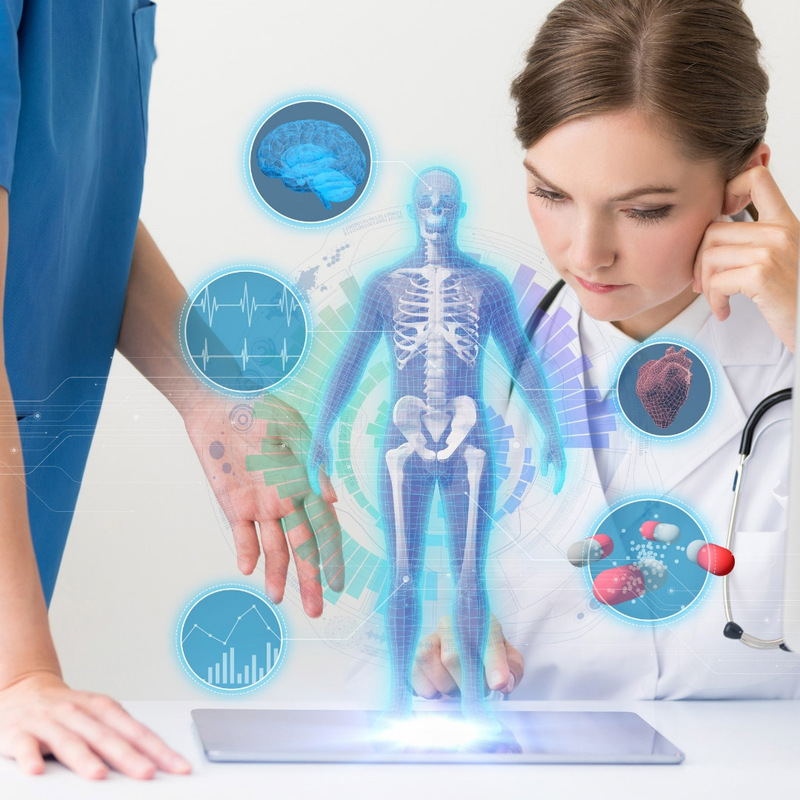 The software needs to be designed to make it as easy as possible for physicians to use so that it does not slow down their processes or introduce opportunities for errors from annoyances with the use of the interfaces. While there are many improvements to be made to EHRs, there is some good news. Human centered design methodologies can truly create a match made in heaven between EHRs and the practice of medicine. Once this does happen, patient care will be better than it has ever been – better than we could have dreamed of. Let’s delight patients and clinicians. Here at Sophic Synergistics, we specialize in human factors in healthcare by excelling at listening, problem-solving and integrating human centered methodologies into your workplace and patient operations. We work with health care systems and hospitals to deliver the best user experience outcomes. Contact us today.